Hello Igor, thank you for the review. We believe our Whitepaper covers the product description completely, but we are working on the financial part and competitive analysis as well. As for the team, our board consists of people from more than 8 countries and we try to expand by the day. UPD: Now KYC passed. Team invited international experts. Many mistakes resolved. Good job, guys. But I'm still waiting MVP from you. Need to pass KYC verification and have more strong team and experts and PR company. Thank you for the review as well as the updates. After seeing your first comment we really did change a lot in the company structure and are even more motivated to do the right thing. About MVP - Our development team is working hard to make it happen in the nearest future and we will update its status as soon as possible. The team is well, the idea is required from the market. I like the idea and business mechanism quite a lot. However, I do not know if MVP does not work and this team can actually achieve this vision. Thank you for the honest review, Nozomu! We appreciate your kind words and would like to let you know our team is working with on improvements daily. The MVP of the product will be available as planned in road-map. Meanwhile we are here for any advice you might have for the Bixtrim project. 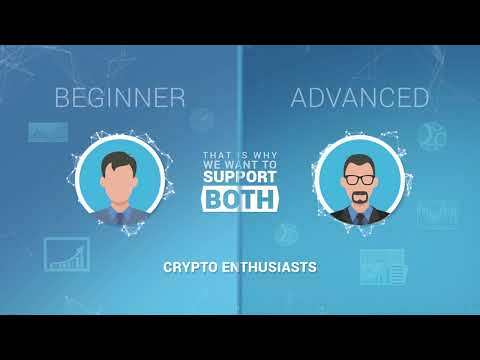 Highly perspective project with strong team doing a enxt generation crypto exchange with zero tax debit cards and crypto pawn shop. I like the approach with futures using for rates hedging, it should be on the market. Good luck to Bixtrim! Hello Cristina! Thank you for the positive rating and the support, our team is very dedicated to the work we do here at Bixtrim. I love the idea and waiting for a working product here. For the last months we have seen that Blockhain tech is applied perfectly on financial sector only and this kind of solutions is nice. Team is good and advisors list is long. Giving my support to Bixtrim. Thank you for positive comment and review, we will keep you updated about our working product.